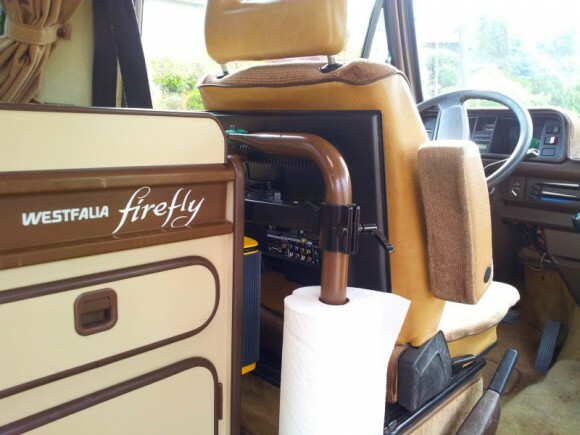 Several Vanagon owners have mounted TVs inside their van, but this one has to be one of the best we’ve seen. 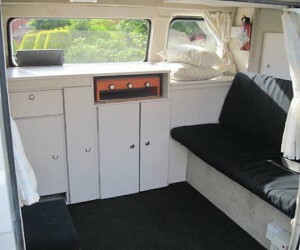 The Samba user ChilliConCarnage, has posted several pictures of his Westy, but his use of an articulating TV mount caught my eye. He basically dismantled the mount, and clamped it to the front table leg. It works perfectly! 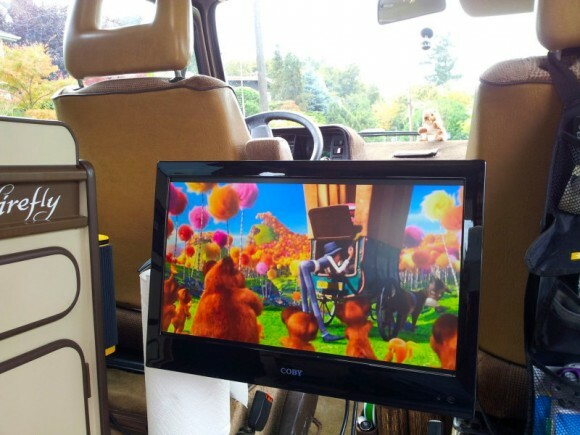 The best part is he can hide the TV behind the driver’s seat for theft deterrence. Click through to see how he hides his TV. Is that cool or what? 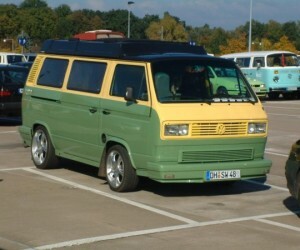 Check the source link below to see several more pics of his van. This guy has quite a ride!